A MAN riding a motorcycle collided with a kangaroo early this morning. A Queensland Ambulance Service spokeswoman said the 59-year-old rider suffered a hand injury. The crash occurred on James Cook Drive, Douglas at 5.38am. The QAS spokeswoman said the man was taken to Townsville Hospital in a stable condition. While in a separate incident, a man believed to be a passenger in a ute has fallen from the vehicle and broken his leg in a crash on Palm Island. The QAS spokeswoman said the 24-year-old man suffered a compound fracture to his leg in the single vehicle crash on Small Bay Road shortly after 1am. The man was first taken to Palm Island Hospital but it's understood he will be flown to Townsville Hospital for further treatment. 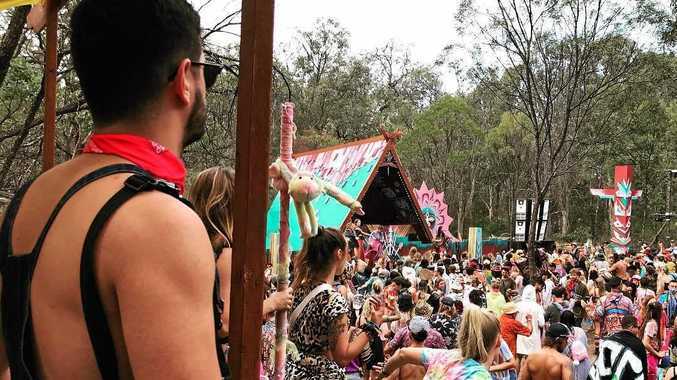 Crime A SLEW charges including assault occasioning bodily and fraud were laid over a four-day music festival where a man is reported missing and two people died.